New Widgets There are several new photo widgets available for Designer ProX10 owners. These join the existing array of photo gallery, slide show, and zoom photo widgets! There are new social media widgets including: Instagram badge, Instagram SnapWidgets (embed your Instagram photos into a website as a photo gallery), Pinterest and LinkedIn badges. These join the Google, Facebook, Twitter, Add This and more widgets in the Social Networking Widgets folder. 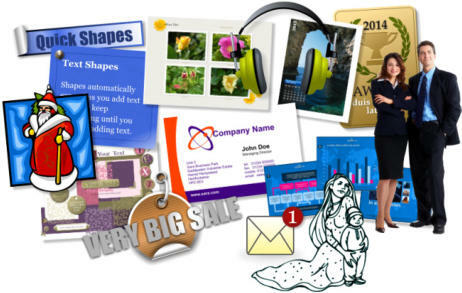 And did I mention there’s a ton and a half of free clip art, photos and graphics in the Content Catalog (Samples below).